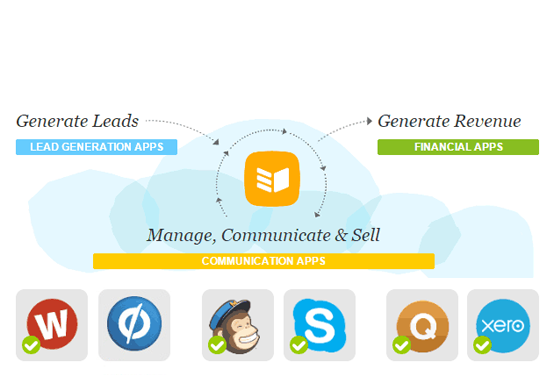 SaaS CRM: What is Software as a Service (Saas)? Looking to implement a SaaS CRM but not sure if it’s the right model for your business? Find out what going SaaS means for your business. SaaS is an acronym for Software as a Service. A SaaS CRM runs on the cloud, meaning the software is not stored on your company's servers, it’s hosted and managed externally by the provider. ✔ No installation or maintenance costs. ✔ Integrate all your business systems. ✔ Enhanced sales team collaboration. ✔ Daily backups and security. 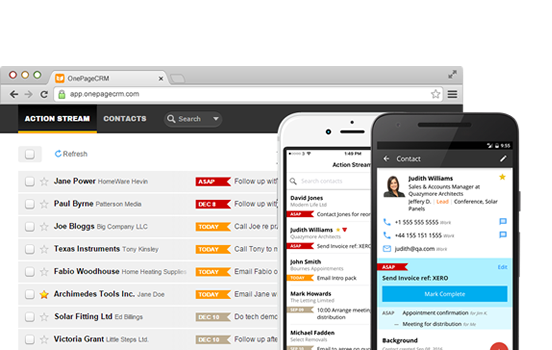 Looking for a SaaS CRM? Using a cloud CRM means you can gain access to your data anytime, anywhere - once you have an internet connection. Your data is accessible across all your devices from desktop to mobile. The greatest benefit of SaaS CRM software is that you can access powerful applications straight from the web, without the need to manage costly hardware installs or maintain software updates. Your SaaS CRM provider looks after all that, from updates and data security to hardware maintenance, we’ve got you covered. The real advantage of using a cloud app, versus an onsite alternative, is the ability to integrate your business systems on the cloud. Have your business systems talk to each other and easily move contacts and deals to marketing, project management and invoicing. Having 24/7 access to your data in the cloud makes it easier to manage user privileges, monitor data use, and ensures every team member has instant access to the most up to date information. Our level of data security can be compared to that of internet banking. Your data is stored on industry-leading Amazon servers and encrypted using Comodo security (SSL) certificate. We run nightly backups of your data and have a 99.9% up time so you can rest assured your data is in the safest hands.